Oculus wants to make virtual reality mainstream but the technology is difficult to describe with pure marketing -- it needs to be experienced. Today the Facebook-owned company is taking an important step towards reaching the masses with the announcement that Oculus Rift headsets will be available in 48 Best Buy stores around the country later this week. Oculus plans to include a range of VR demos to show off the hardware, including the Oculus Dreamdeck and The Climb, with Farlands being added at a later date. Those curious about VR will be able to go online, see what stores are participating and schedule a demo. 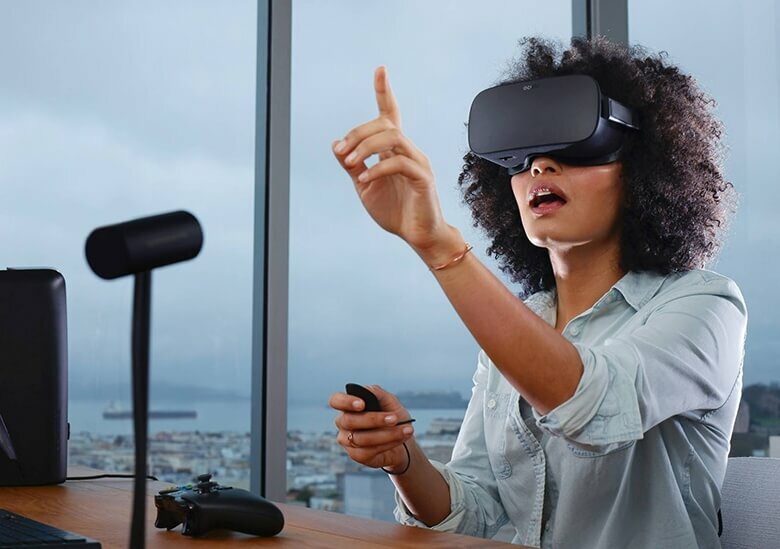 Up until now Oculus has only been able to offer public demonstrations at trade shows and developer conferences, so this is a necessary and logical next step for the company. That said, the fact that hardware units are being shipped out to retail locations before they've fulfilled their first pre-orders is sure to irk early backers, as Polygon points out. Oculus says it won't have many demo units on hand at first because of this. It’ll also let people who cancel their pre-order and buy their Rift at retail, to keep all their pre-order benefits, including the EVE: Valkyrie founder's pack and priority status of Touch pre-orders. Aside from Best Buy, a small number of Rifts will be available for purchase online from Microsoft and Amazon starting May 6.